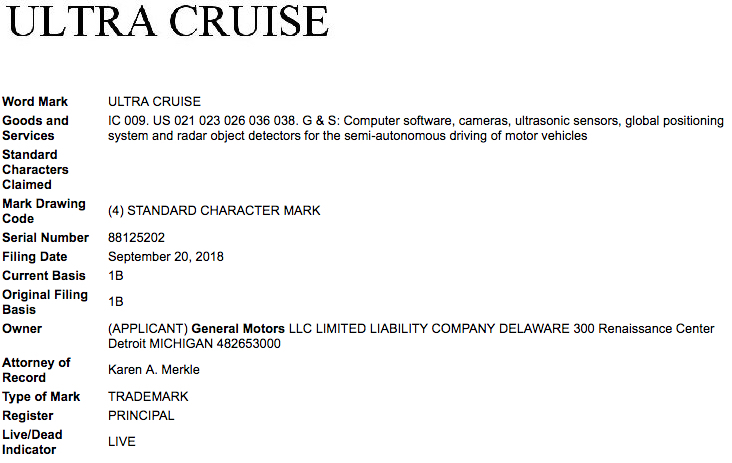 GM has filed an application to register “Ultra Cruise” as a trademark with the United States Patent and Trademark Office (USPTO), GM Authority has discovered. The automaker’s September 20th, 2018 filing is assigned serial number 88125202, and specifies that the mark will be used in conjunction with the following types of goods and services: computer software, cameras, ultrasonic sensors, global positioning system and radar object detectors for the semi-autonomous driving of motor vehicles. One mustn’t be a savant to understand that this trademark filing is in some way associated with a GM autonomous driving system. The only question now is whether Ultra Cruise will complement the GM Super Cruise system as a second, more powerful (or less powerful autonomous offering, or replace it outright. For the sake of comparison, we dug up GM’s old trademark filing for Super Cruise from 2016, and it had the following goods and services description: Computer software, cameras, ultrasonic sensors, global positioning system and radar object detectors for the semi-autonomous driving of motor vehicles. That’s exactly the same as for the new Ultra Cruise filing. Stay tuned to GM Authority as we dig into what GM has planned for the Ultra Cruise trademark filing, as well as for more GM Ultra Cruise news, GM trademark news and GM news coverage. Possibly a less powerful or similar autonomous system for Chevys ,buicks and gmcs !! Ultra is above super. So what’s the next level? Super Ultra? Super Duper? Bestest Cruise? Cruise snooze. 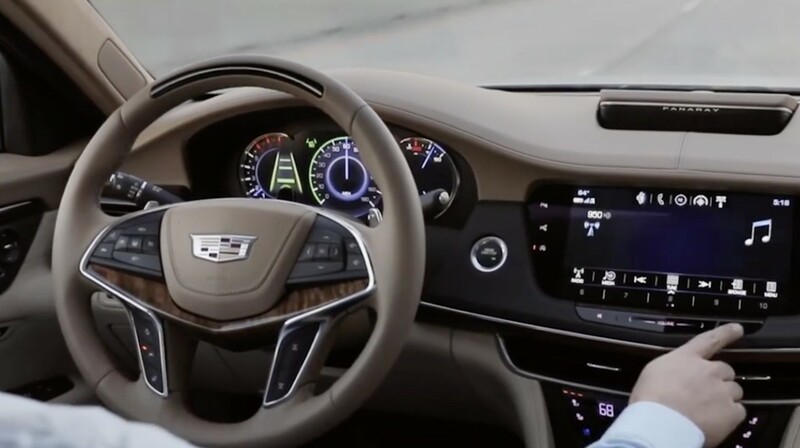 Why can’t they put that steering wheel hub in every Cadillac? So much better looking than bubbly plastic.